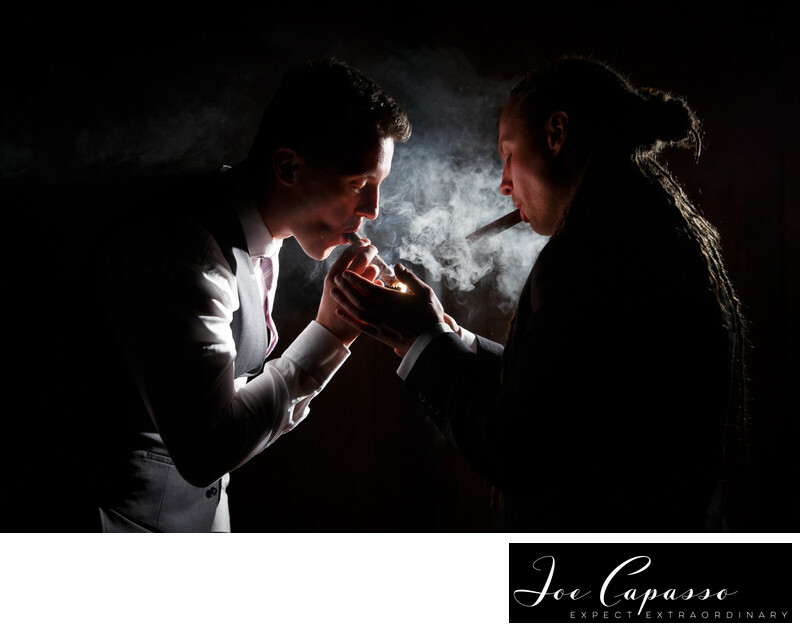 the groom and his best man smoking cigars at a naples florida wedding. The guys were lit from behind to light up the smoke. 1/100; f/3.5; ISO 1600; 39.0 mm.